Severe loss which may have dire consequences upon the syndicate of co-owners. In such circumstances, the insurance indemnity is paid to an insurance trustee. 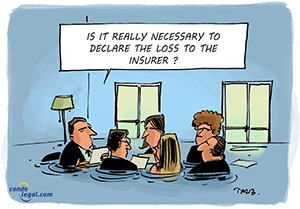 Criteria to establish what constitutes a "substantial loss" may be introduced by regulation of the Quebec Government.